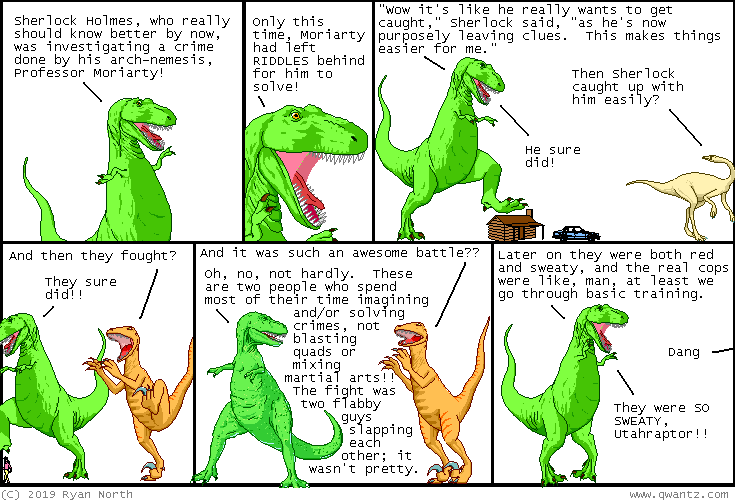 Dinosaur Comics - February 6th, 2019 - awesome fun times! –There must be a way to capitalize on this!! February 6th, 2019: THIS SATURDAY FEBRUARY 9th - where are you going to be? Hopefully in SAN FRANCISCO, where I'll be there for TWO free events!! Hopefully I will see you there too? ?